Frozen yogurt is a healthy alternative to ice cream or other sweet treats, it is tasty, and much better for you! Many high street stores sell frozen yogurt, but you can also make it at home, and there are appliances out there to help you. A decent frozen yogurt can be made in any decent ice cream maker. That is why you will always see ice cream makers being advertised as also capable of making frozen yogurt. Below are some of the best frozen makers you can buy. 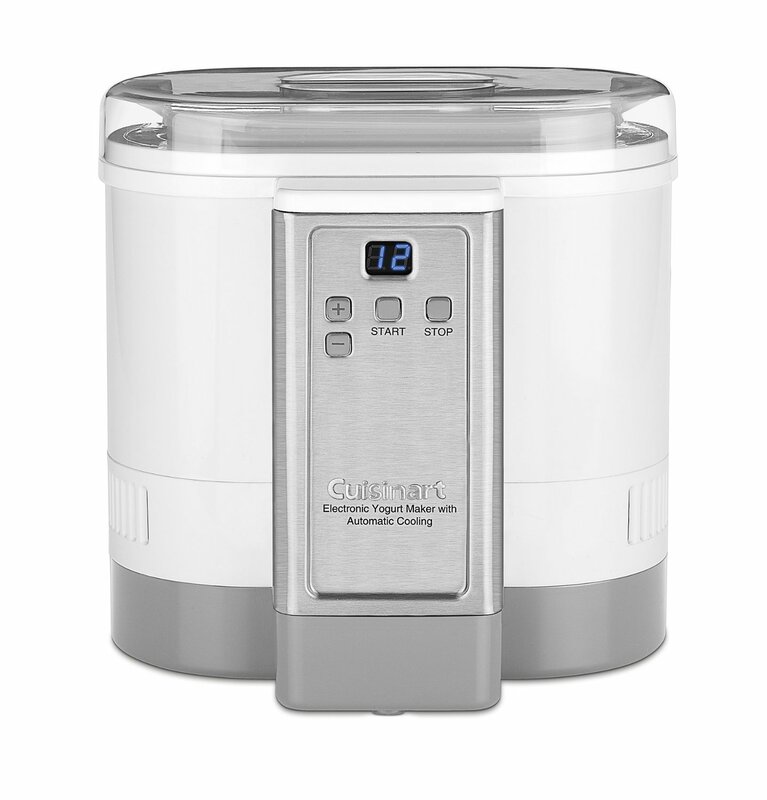 Clad in a brushed stainless steel housing, the Cuisinart ICE-30BC is actually an attractive sight, especially for a kitchen appliance. Coupled with its ability to make great frozen yogurt and outstanding features, plus the usual top class customer support from Cuisinart, there is no way anyone cannot like this maker. 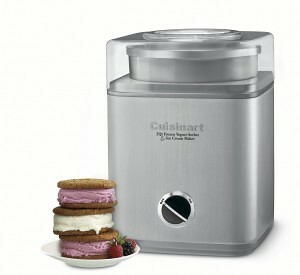 The Cuisinart ICE-30BC makes great frozen yogurt. And it does this in less than 25 minutes living up to Cuisinart’s claim that it gets the job done in 25 minutes or less. The freezer bowl is just adequate with a capacity of 2 quarts. Cleaning it is a breeze and so are the other parts (4 parts in total). The instructions booklet it comes with is clear and you will be making frozen yogurt in minutes, thanks to the included recipes. There is just a single dial for turning it on or off. Overall usability is outstanding and couldn’t be easier. It is versatile, very high quality and can handle making big capacities for a big family! I highly recommend this if you are looking forward to making frozen yogurt for your family. Not everyone can afford the high-end frozen yogurt makers. And the good thing is that the market is well diversified and you will likely find something cheaper like the Hamilton Beach 68330N, it is a budget alternative to some of the big price tag products out there but that doesn’t mean you have to suffer with quality. At first glance, you might be concerned with the construction since it is plastic and can be found at the lower end of the market in terms of cost, but surprisingly, the Hamilton Beach 68330N has a decent solid construction, even your child will be able to use! What I like most is that it can make up to 4 quarts of frozen yogurt. This is double compared to what the Cuisinart above can make, and is huge compared to most products of its type. You will find this useful if you have a big family. The manufacturer says it will take about 20 to 40 minutes to finish making yogurt. But from what I have experienced, it usually does the job in 30 minutes. As for cleaning, I do not think it can get any easier on a machine this cheap! It’s a simple process which doesn’t leave you deconstructing and reconstructing your machine, and will be done in a few minutes. The Hamilton Beach 68330N is easy to use. Even if you have never made yogurt before, you will be up on your feet with the easy to follow manual. And as a bonus, it comes with 20 recipes, what more could you ask for from a machine this cheap? Either option above would be excellent for a hobbyist looking to make frozen yogurt at home, and provide delicious desserts and treats! Of course, the capacity is one of the main differences, along with the looks, if you want something bigger, the Hamilton Beach is the one for you, but for a better looking model in your kitchen, stick to the ICE. This entry was posted in Cuisinart and tagged Cuisinart, Frozen Yogurt, ICE.